All-around great math teaching tool! 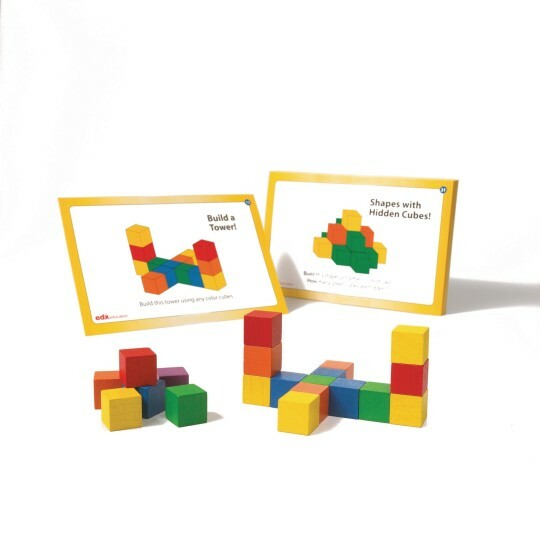 Set of 102, 20mm wooden counting cubes in 6 colors including 34 color activity cards to explore basic math concepts. Can create 3D designs as well as match them to the activity cards.